Stephen Markley, author of Publish This Book: The Unbelievable True Story of How I Wrote, Sold, and Published This Very Book, will be reading from a new essay, available on Kindle and iBooks, called The Great Dysmorphia: An Epistemological View of Ingesting Hallucinogenic Mushrooms at a 2012 Republican Presidential Debate. 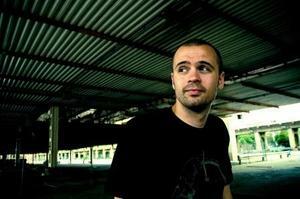 His blog, Off the Markley, appears regularly at the RedEye's web site, and you can visit him online at StephenMarkley.com. Hear Stephen and the rest of our outstanding readers on Tuesday, December 4, 7:30 pm, in the upstairs lounge at Hopleaf. Jodi Eichelberger has been featured as a storyteller in New York City at The Moth, SpeakEasy Stories, and Stories for the Hairdresser, which he also produced. He is currently writing a collection of essays with the working title Audience of One, which he hopes is not a self-fulfilling prophecy. A selection from this was published in The Battered Suitcase, and also performed as a stage show. Jodi is known for his role as Stingy on the television series LazyTown, which airs in over 100 countries. 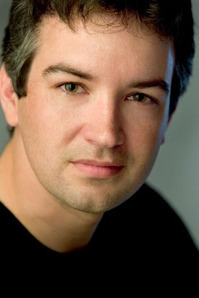 He is also an original cast member of the Tony award-winning musical Avenue Q on Broadway. 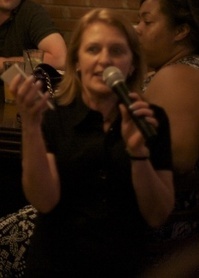 Hear Jodi and the rest of our outstanding readers on Tuesday, December 4, 7:30 pm, in the upstairs lounge at Hopleaf. We at Tuesday Funk are always bummed when our readers must drop out for one reason or another. And since every good story needs a villain, for our December 4th reading we can blame the absence of CP Chang and Derek Silver on The Man. We were very much looking forward to hearing from them both, but unfortunately CP is being sent out of town, whereas Derek is no longer being sent to town. The Man is vicious. But never fear! We have some world-class pinch-hitters on deck, including Andrew Reilly of 2nd Story, and Jodi Eichelberger from the original cast of Avenue Q, so you won't want to miss us on December 4th, at 7:30 pm in Hopleaf's upstairs lounge. CP Chang, by the way, will be joining us instead on March 5th, and we'll have Derek Silver at the mike just as soon as his travel schedule allows. 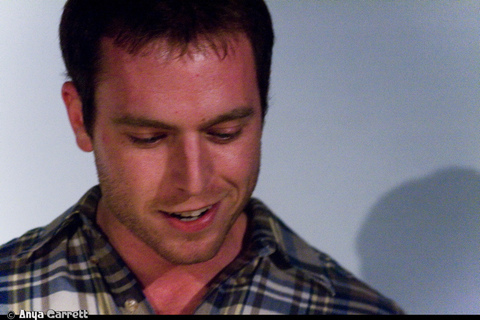 Andrew Reilly is the director of publishing for 2nd Story and co-editor of the anthology Briefly Knocked Unconscious by a Low-Flying Duck. His work, much of which was written in Uptown, has appeared in a number of fine publications. Visit him there in person, or online at AndrewReilly.org. Andrew will be reading as part of our mini-series featuring writers from that new 2nd Story anthology. Hear him and the rest of our outstanding readers on Tuesday, December 4, 7:30 pm, in the upstairs lounge at Hopleaf. Julia Borcherts is a 2nd Story company member, a co-founder and co-host of the literary series Reading Under the Influence and The Chicago Way, a fiction writing instructor at Columbia College Chicago, a theater columnist for the RedEye, and a frequent contributor to Time Out Chicago and the Windy City Times. 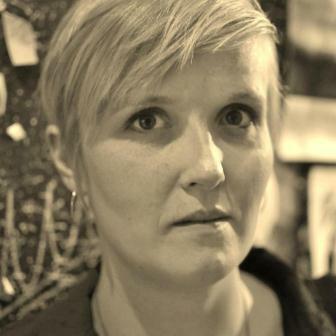 Julia will be reading as part of our mini-series featuring writers from the new 2nd Story anthology Briefly Knocked Unconscious by a Low-Flying Duck. Hear her and the rest of our outstanding readers on Tuesday, December 4, 7:30 pm, in the upstairs lounge at Hopleaf. 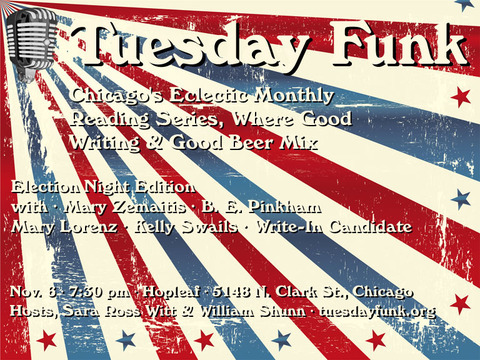 Come kick off the holiday season in style with your friends at Tuesday Funk, Chicago's eclectic reading series where good writing and good beer mix! We're pleased to present the first in a series of readings featuring authors from the new 2nd Story essay anthology Briefly Knocked Unconscious by a Low-Flying Duck. Julia Borcherts and Andrew Reilly will be on hand to read their contributions, and we'll also have Jodi Eichelberger, Maggie Kast, and Stephen Markley with us. Throw in one of our patented Poems by Bill, not to mention your pick of cold beers from around the world, and you have the recipe for a fantastic hour or two of live literature. 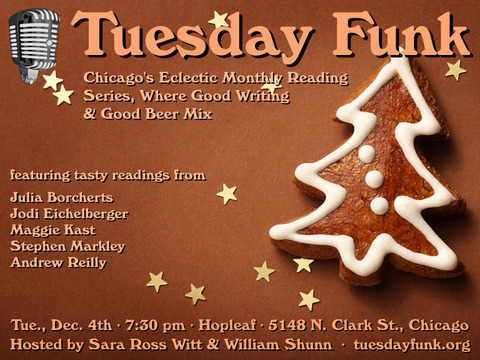 The evening gets underway with your co-hosts Sara Ross Witt and William Shunn on Tuesday, December 4th, 2012, 7:30 pm, in the upstairs lounge at the newly expanded and renovated Hopleaf, 5148 N. Clark St., Chicago. Arrive early for a table and grab a beer from Mark at the cash-only bar. We start seating at 7:00 pm and no earlier. Admission is always free, but you must be 21 or older. And come early or stay late after for some great Belgian-style food downstairs. That's change you can believe in. This post was edited on November 26th to reflect late changes in the lineup of readers. Last night was Election Night, and we know you've been waiting with bated breath to find out what happened. So without further ado, here's a recap of last night's events ... from the Election Night Edition of Tuesday Funk at Hopleaf Bar! We started things off with a delightfully bloody tale of young were-beasts from repeat reader Kelly Swails. Next, B. E. Pinkham took us through the emotional process of coming to terms with a child's autism. And then our write-in candidate, host William Shunn, brought us some "Strong Medicine" from the environs of Washington, D.C., in the year 2037. After a break for beer, we enjoyed some "Tasting Notes," this month's Poem by Bill. Then followed a second half that we cheekily called "The Jesus and Mary Chain," in which Mary Lorenz brought us a heartfelt and hilarious tale of her teenage flirtation with Christianity, followed by Mary Zemaitis's heartfelt and hilarious tale of her teenage flirtation with Christianity. I mean, what are the chances? Oh, right, and then some guy named Barry won some election. But if you weren't present last night to hear from your favorite candidate, don't despair. We'll be bringing you video clips from the evening over the days to come, after which we'll be back December 4th with a great lineup featuring Julia Borcherts, CP Chang, Maggie Kast, Stephen Markley, and Derek Silver. Don't miss it! Reminder: Tuesday Funk #51 is tonight! It's a real horse race tonight, and the stakes are huge! But no matter which team you're backing, you can take refuge from the stress of election returns tonight at Hopleaf, as your good friends from Tuesday Funk bring you our 51st big episode! Our terrific Election Night Edition features a strong slate of candidates for literary excellence, including Mary Lorenz, B. E. Pinkham, Kelly Swails, and Mary Zemaitis, not to mention one of our patented Poems by Bill. And though we regret that Jac Jemc had to withdraw from tonight's race at the last minute, we'll also bring you a special write-in candidate with some strong medicine for what ails Washington, D.C. So "like" us today on Facebook and get set to cast your ballot for "live lit" with hosts Sara Ross Witt and William Shunn. And remember to vote early and oftenat the bar!